Sometimes we forget the luxuries of cloud computing technology didn’t always exist. It wasn’t long ago that we had to carry USB drives everywhere we went. Or, dare we recall the famed floppy disk days. Over the past decade, we’ve gone from carrying hardware with us to storing, accessing, and editing everything on the cloud. And, it’s not just everyday technology users that have enjoyed the shift. The cloud has had a massive impact on the business world. It’s changed the way we share information in every possible sense. For example, in 2012 the New York Times declared that year the boom of MMOCs: massive open online courses. For the first time, organized education began to truly scale. It was all because of the cloud. 1. As more and more technology companies establish themselves, demand for cloud computing will skyrocket. Just from a volume perspective, the more people using the Internet and the more companies that establish themselves as cloud-based will only lead to more demand for cloud computing. Imagine having to upload and download documents back and forth and then being introduced to Google Documents. As a user, once you’ve experienced something that seamless you’re going to want and expect that same type of experience everywhere you go. 2. Cloud platforms will allow companies to ditch unnecessary tools. The beauty of cloud-based platforms is their short learning curve. Plus, they have a low barrier to entry in terms of cost and seamless integration into organizations. And, more companies will follow suit in their own ways. 3. Cloud platforms will soon have to compete with the blockchain. There is a new technology in town. If you haven’t heard, blockchain is very quickly disrupting every possible industry. This includes everything from finance to big pharma to the cloud. Right now, the cloud industry is dominated by “the big three”: AWS, Microsoft Azure, and Google Cloud.Because these three massive companies own so much of the space, these centralized companies are the ones setting the prices. What blockchain companies like Akash are doing is leveraging the blockchain to turn the cloud industry into an open marketplace. Price is determined by supply and demand for available computing power. For example, on the Akash network, users can “rent” computing power from idle data centers. They only use the power they need for the amount of time they need it. In turn, data centers and large-scale companies with hardware they aren’t currently using can turn these assets into new revenue streams. By creating decentralized ecosystems, blockchain technology will have a massive impact on the way the business world uses the cloud. 4. It’s safer for companies to leverage cloud platforms to store data. A 2016 survey by RightScale found that companies adopting cloud services do not worry about security nearly as much as they would if they were storing data on native servers. The demand for cloud services is only increasing. Providers are spending more resources to ensure data safety. One of the reasons costs are such an issue in the cloud industry is because companies struggle to optimize for unused workloads. As a result, many companies sit on unused resources. This is where blockchain companies can help. While it’s certainly safer to store data in the cloud, there is room for improvement. This includes optimizing for the costs associated with that safety. 5. 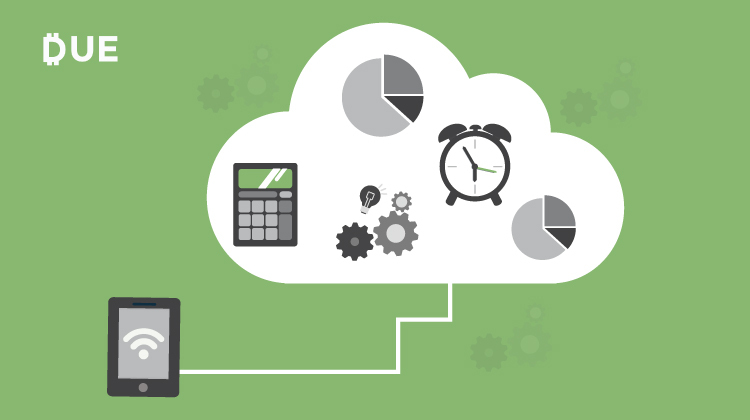 The cloud is changing the way companies think about productivity. One of the biggest impacts cloud computing has had on the business world has been improving how teams work. This includes whether they’re sitting in the same office or on different sides of the planet. When data is accessible 24 hours per day, 7 days per week and changes can be made live, suddenly workflows become seamless. It’s safe to say this trend is only going to continue. Imagine what the world is going to look like when the ease of Google Docs is combined with artificial intelligence and machine learning. For example, if you’re constantly making the same kinds of changes to documents in the cloud, the cloud may soon be able to learn from you and suggest those changes to other team members autonomously. 6. Companies are shifting from an “owning” mentality to a “sharing” mentality. For a long time, companies have felt inclined to keep everything in-house. Many companies felt they should invest hundreds of thousands of dollars in building their own servers, CRM tools, databases and file-storing programs. Now, so many of those services are being offered on the cloud. And, they are usually free or very cheap to start. Therefore, it’s hard to justify such a substantial cost just to keep everything in one room. In addition, cloud companies see the massive potential for enterprise services. They can replace many of these unnecessary in-house tools and platforms. As demand here increases so will their efforts to ensure cloud computing technology and are vastly superior to the ones built internally. Previous PostShould You Switch Jobs for the Money?